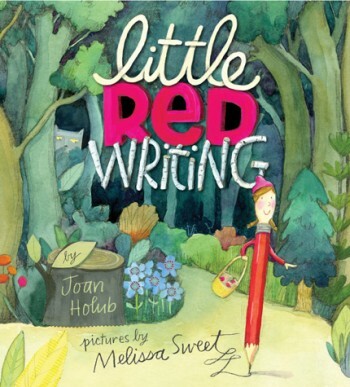 There are never enough fractured fairy tales out there, and Little Red Writing by Jean Holub and illustrated by Melissa Sweet is more fractured than most. After all, it’s set in “Pencilvania School” and Little Red is a pencil, and the wolf is “Wolf 3000: the grumpiest, growliest, grindingest pencil sharpener ever made!” Little Red has to save Principal Granny, and everyone else, from being sharpened to smithereens. Great text, unique illustrations with lots of secrets to find and a story to admire. This entry was posted in Love that art, Love that prose, Picture books and tagged books, fractured fairy tale. Bookmark the permalink.